Shahid Anwar (born 5 July 1968 in Multan) is a former Pakistani International cricketer. Anwar made his one-day debut against England, scoring 37 runs but was never recalled to the national team. In domestic cricket he represented Lahore, Bahawalpur, National Bank of Pakistan, Pakistan Automobiles Corporation, Pakistan National Shipping Corporation during his career and also played on the UK Cricket League Circuit. He captained the National Bank Grade 1 and Lahore Grade 1 teams to national championships (both as captain) and appeared in 216 first-class games as a batting all-rounder, scoring 12100 runs (at 34.87) with a highest score of 195, as well as appearing in 152 list "A" matches. His first-class career is punctuated with 26 centuries and 63 half centuries. Anwar took 61 wickets in first-class cricket with a career best of 6/2. 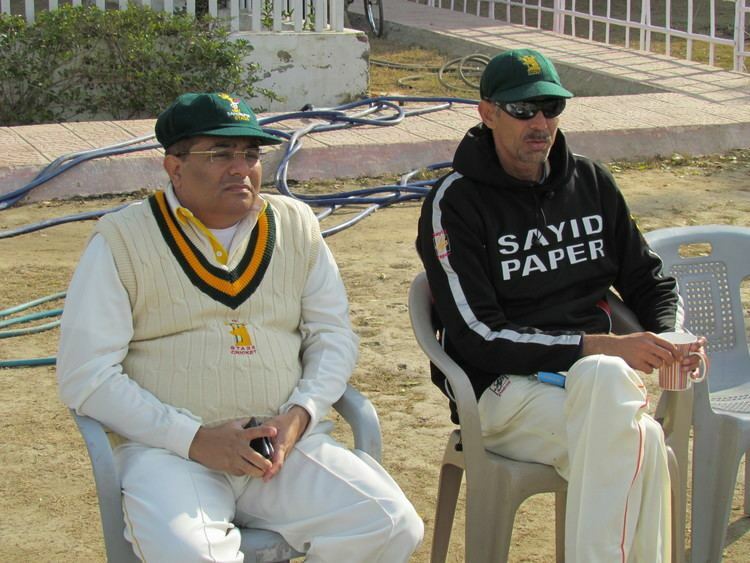 After retiring from first-class cricket, Shahid proceeded to become one of the most successful cricket coaches in Pakistan. After completing Level I, II and III cricket coaching diplomas from CA (Cricket Australia), he joined Sialkot Stallions as their head coach and propelled them to National T-20 Championship, and the National Bank side to the 2011 One day championship runner-up position. He also coached Pakistan "A" team during its tour to Australia in 2010. Shahid Anwar is currently the Head Coach of Bahawalpur Division and has remained the head coach of Stags Cricket Team, Captain of the Stags Seniors Cricket team from 2009–2012 and the Stags Cricket Club in Lahore. While Pakistan Cricket Board (PCB) provides excellent training facilities for players at their regional academies, a sustained coaching and repetitive reinforcement routine is required for players to hone their skills. It has been observed that once players go back to their clubs and associations, much of the training imparted at the Academies is lost because most clubs are unable to provide consistent reinforcement, regular match play and analytical training to cricketers. The need for a high performance cricket academy, where the skills of upcoming cricketers can be augmented to world class standards over an extended period of sustained training was the starting point of  Stags Cricket Academy. Backed by a philanthropic initiative of Mr. Aizad Sayid the Stags Cricket Academy was established in June 2010, and is currently in operation at the H Block Cricket Ground in Model Town, Lahore. This is the only club in Lahore that provides top class facilities to cricketers without charging any fee. The Stags Cricket Academy is currently imparting training to seventy talented cricketers starting from 9 years of age. These cricketers were chosen after a talent hunt scheme was launched all over Pakistan in which over twelve hundred cricketers of all ages were assessed in various cities during a period of one month. Out of these twelve hundred, one hundred and fifty players were invited to Lahore for final assessment, from which the current crop of seventy were chosen for the Academy. A) A Stags player must strive to become a role model. C) A Stags player should learn the rules applicable for the age group that the player is playing for. G) A Stags player must encourage colleagues. 1). Level I, II and III Coaches. 7). State of the art video recording and player analysis software. 8). Age matched playing equipment. 11). Motorized Grass cutting machines. 12). Top of the line cricket equipment for players. 13). Fully computerised player records on club website.